You’ve got a mountain of work in front of you, but no energy to tackle it. You’ve already slept well and eaten energy-producing food, so exhaustion’s not the problem. You’re just feeling lethargic, avoidant, and lazy. We’ve all been there. Some of our kids seem to live there. Want change? A simple Japanese principle can help anyone overcome laziness in just one minute. The Japanese principle of Kaizen is built on making progress through a series of very small steps. If you take just one very tiny step on a large project, Kaizen says, you will automatically shift mental gears, see and feel some degree of immediate progress, and find yourself motivated to continue. It’s one of the fastest, most effective ways to overcome laziness. A 2015 article by IHeartIntelligence.com provides this example. “Let’s say you have a huge pile of laundry to do. You look at the pile of laundry and think, ‘Oh no. This will take a whole day to sort, wash, dry, and fold.’ On the surface, the task seems huge. The solution? Set a timer on your phone for one minute, and start sorting. The idea is that in your brain, a minute seems minuscule. You do the task for one minute, and at the end you have an actual, tangible, recordable result. The Japanese principle of Kaizen will work for both adults and students of all ages. When laziness sets in (despite having recently slept and eaten well), students can set a 1-minute timer on a phone, and just simply set up a work area for study. Clear the desk of clutter. Set out a pen and blank paper. Remove the assignment from the folder. Get out the calculator. Open the necessary document on the computer. The result? An immediate good feeling that comes from small, incremental progress, and the flash of a spark of drive to keep going. Students who overcome laziness take a giant step on the road to successful college and career life. 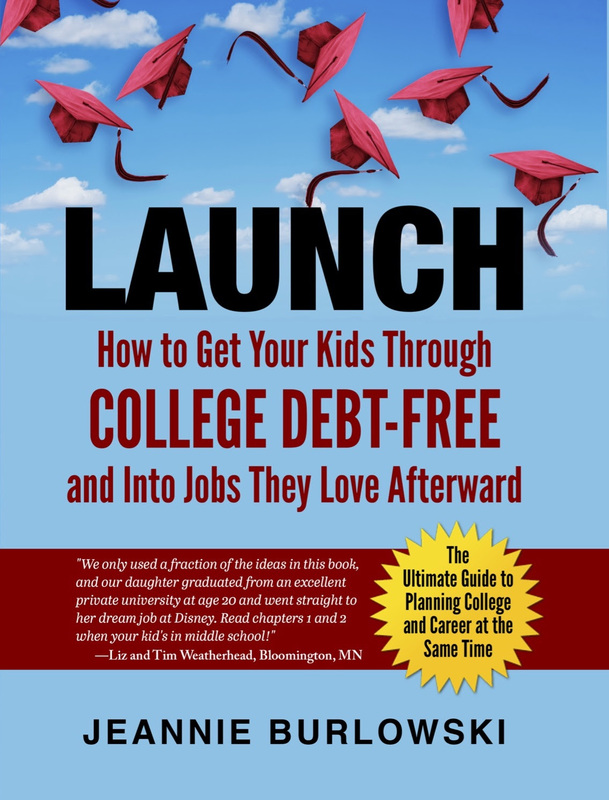 Rocket them ahead of all of their peers by strategizing early on to get them through college debt-free, and into jobs they love afterward. Does a child you love need a little help overcoming laziness? Do you have friends who are parenting kids ages 12–22? SHARE this post on Facebook, Twitter, and LinkedIn right now. What about you? What strategies have you found for overcoming laziness and getting an energized start on large projects? How do you inspire your kids to overcome laziness? Comment below or LIKE Jeannie Burlowski Author on Facebook, find this post on that page, and let’s talk about it there. What is the Kaizen Institute? The principles of Kaizen were developed by Masaaki Imai in his book Kaizen: The Key to Japan’s Competitive Success in 1986. Since the introduction of that book, the Kaizen Institute has become recognized worldwide as a powerful contributor to improving workflows and outcomes at some of the largest corporations in the world.